I had the best lunch today…and it was something new for me to try. 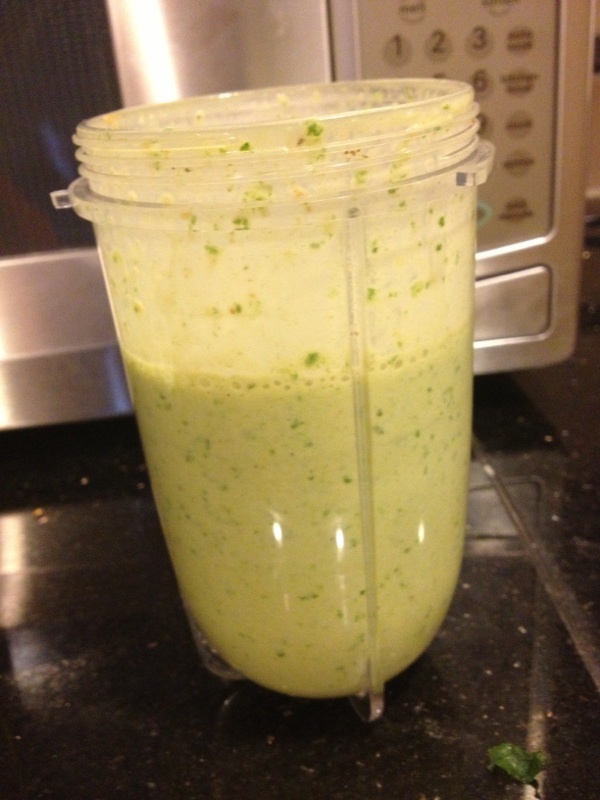 Spread 1 tablespoon of hummus on the leaf. You can use more or less. Then drizzle some honey dijon mustard. Place 4-5 pieces of turkey breast on the hummus, then your slice of cheese. I split my cheese in half to distribute evenly. Add a heaping amount of alfalfa sprouts (or you can chose another veggie of your choice such as mixed greens, cole slaw, tomatoes, etc). Wrap, cut in half and enjoy! Anyway, today in NJ it’s a cold, dreary, rainy day. I posted on my Facebook page earlier about how this shouldn’t deter you from getting to the gym. If you don’t feel like driving in certain conditions, just work out at home! You don’t even need equipment. Here’s my workout challenge for you today…if you complete it, let me know what you think! As usual, warm up before exercise (perhaps by doing my warm-up video?) and repeat the whole thing 3-5x through. I ate really well last week and want to keep it up this week! 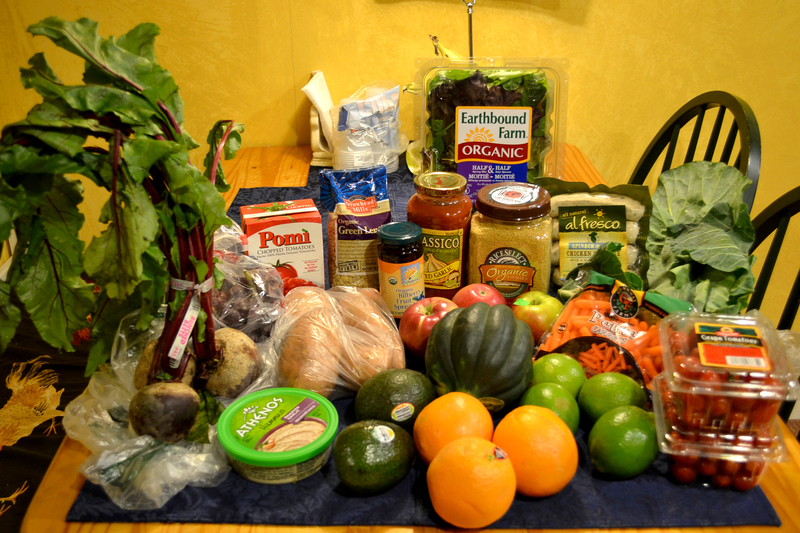 Therefore, I got a lot of healthy stuff at the grocery store yesterday that I’m excited about. A few days ago my mom and I went to Whole Foods first but only picked up a few items, such as Ezekiel bread (which I have been dying to try), organic turkey breast slices, and almond milk (which I could get anywhere but needed it that day), and natural peanut butter. 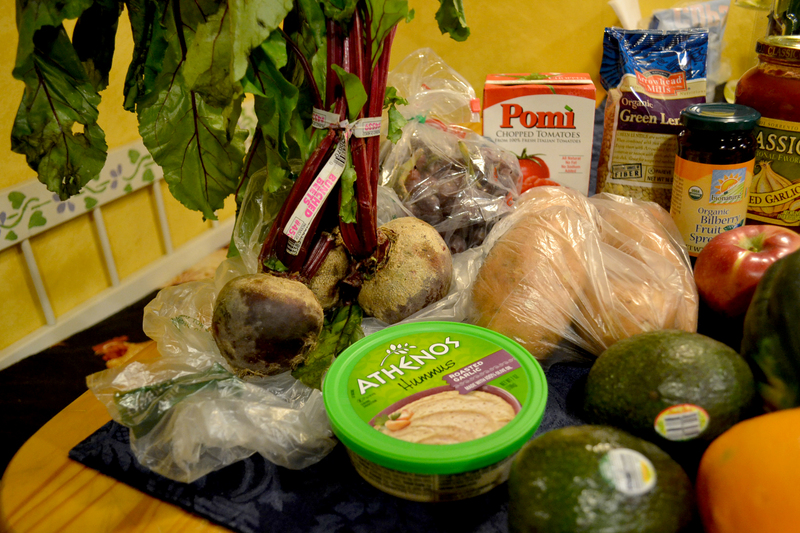 Above, starting with the beets and going clockwise, we have the beets for a baked chicken and veggies dish, grapes, crushed tomatoes, sweet potatoes, avocados, and hummus. Clockwise again, we got lentils to make a lentil and veggies dish (trying to do a no-meat dinner once a week), organic blueberry jam for my mom, roasted garlic tomato sauce, mixed greens for salads, couscous (because I’ve never tried it), chicken sausage, and apples. 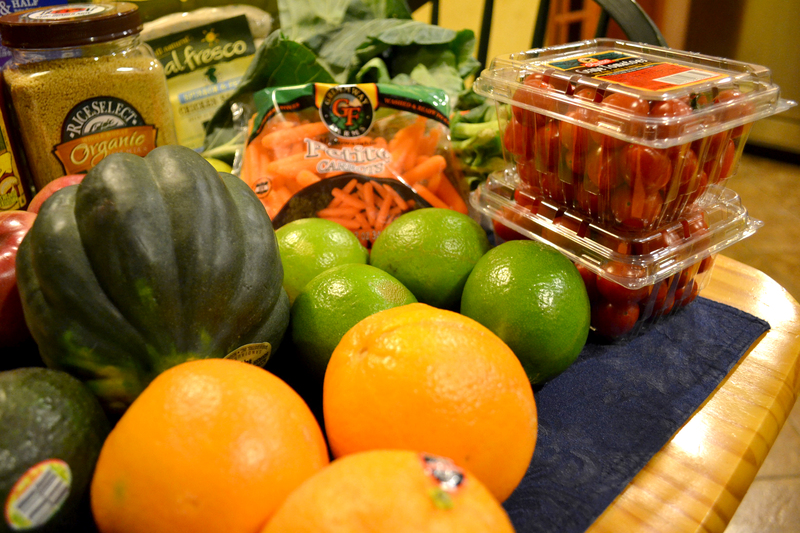 Lastly, acorn squash, baby carrots, collard greens to make wraps, plum tomatoes, limes, and oranges. I can’t wait to make some delicious meals this week! Do you enjoy grocery shopping as much as I do? What meals do you already have planned for this week? Since Monday, my two friends and I have been doing an “eating healthy challenge.” The main challenge is just to eat clean and avoid any processed foods (bread, pasta, cereals, candy, etc). I’ve been focusing on natural foods where the ingredient list is either literally 1 ingredient, or all natural ingredients. We allow ourselves 1 small “cheat” of our choice per day, whether it’s a piece of chocolate, bowl of cereal (my favorite), a cookie…whatever. Once a week, if we want we can have a meal of our choice. Surprisingly, it hasn’t been hard to maintain this! The best part about it is that it’s not a diet. It’s a healthy lifestyle. Eating whole, unprocessed foods is never a diet. 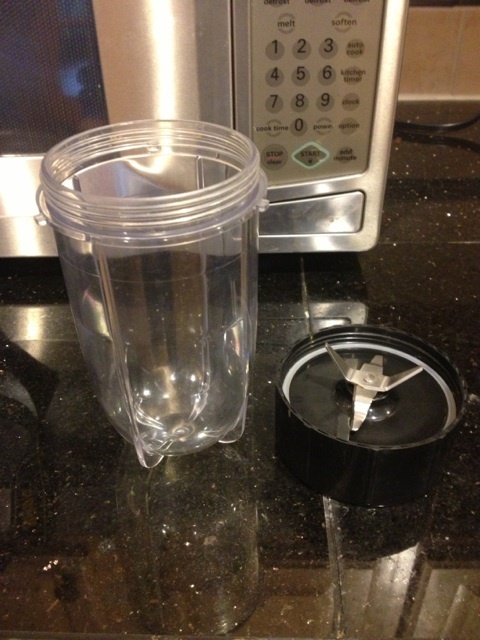 It’s a natural, healthy way to lose weight and body fat, feel less bloated, feel more energized, and much more. Also, while most days say no snack after breakfast, that’s only because I’ve been on break and waking up later. On normal work weeks I always snack between breakfast and lunch. 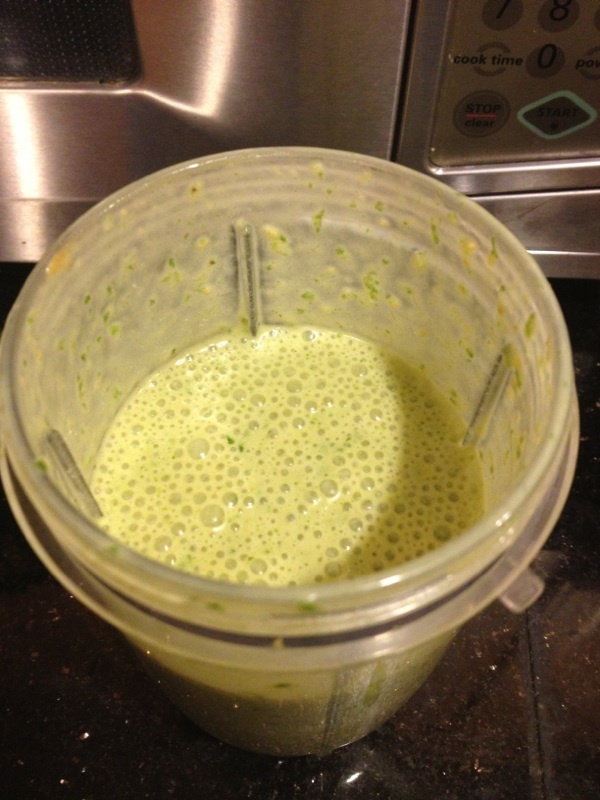 What are your favorite healthy foods you can’t live without? 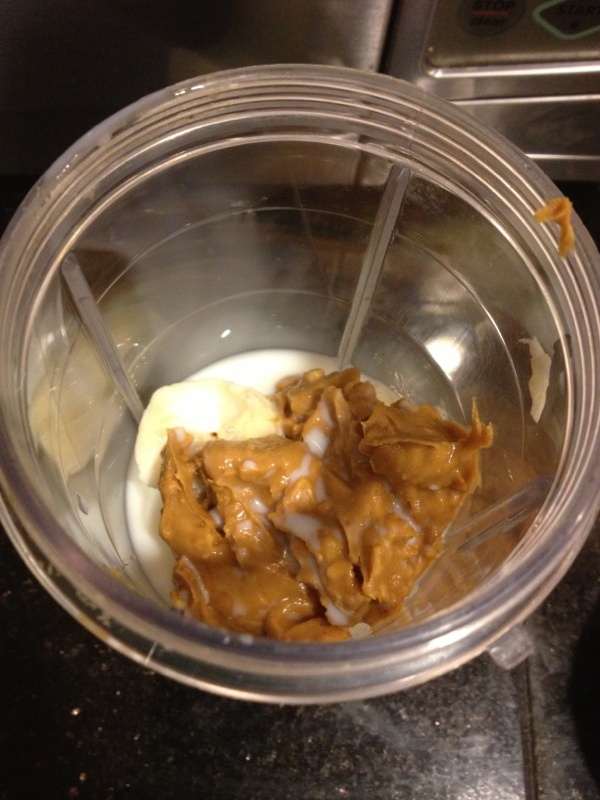 Do you snack regularly throughout the day? TGIF! Happy Friday everyone! Have any exciting plans for the weekend? Working out? Maybe trying out my new Ab Attack video? Anyways, a few days ago I wanted something different for breakfast. I usually just have eggs and chicken sausage. I didn’t have many ingredients on hand, so I searched for an easy protein pancake recipe and found this one by Jonathon’s Fitness. So simple and easy! Here is his recipe with my modifications in bold. It was delicious! Since I forgot an egg, I think it came out too dry, so I just added some organic orange marmalade on top. I made 2 and could only get through 1 before being stuffed! 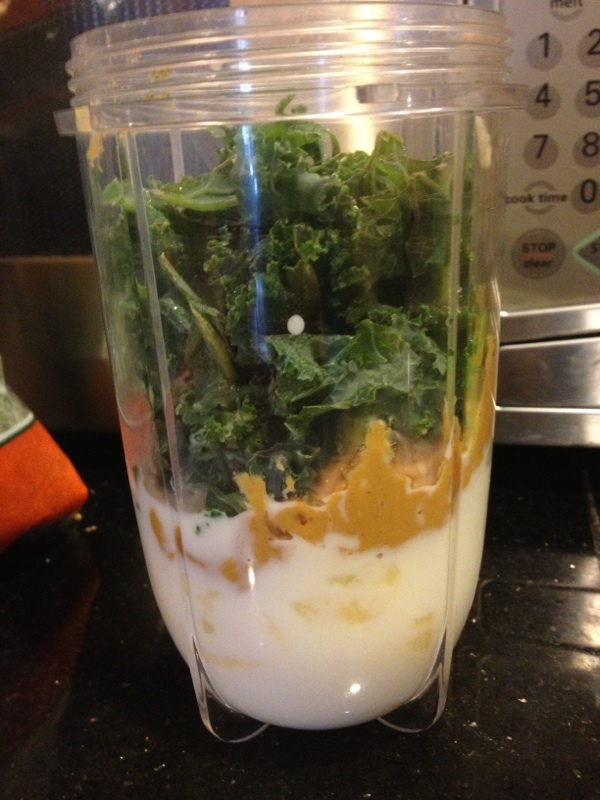 Definitely plan on making these again when I feel like switching up my breakfast. Do you have a go-to breakfast you have almost daily? Or do you eat something different every day? This meal was so good that I forgot to take a picture of it for this post! We got chicken breast and then ground it up ourselves. You can obviously just buy already ground up chicken but it creeps me out. You never know what’s in it! I made chicken patties like you would normal burgers and added some cheese. We wanted a side dish that wasn’t carbs like rice or pasta. I had cauliflower so I decided to try something new. I cut the cauliflower up into really small pieces, then put them in a skillet with onions, peppers and whatever spices I had available. I sauteed everything, but the cauliflower was still a little crunchy, so I added some chicken broth to help make it softer, and add more flavor. It turned out delicious! I’m all about new ways to get your vegetables in. Cut or rip up the cauliflower into small pieces. Throw the onions in the skillet first. Brown them. Put the cauliflower, peppers in. Then add spices. Wait until everything is browned, add chicken broth. Cover it and leave it there for a few minutes until you feel it has reached your desired crunchiness level. 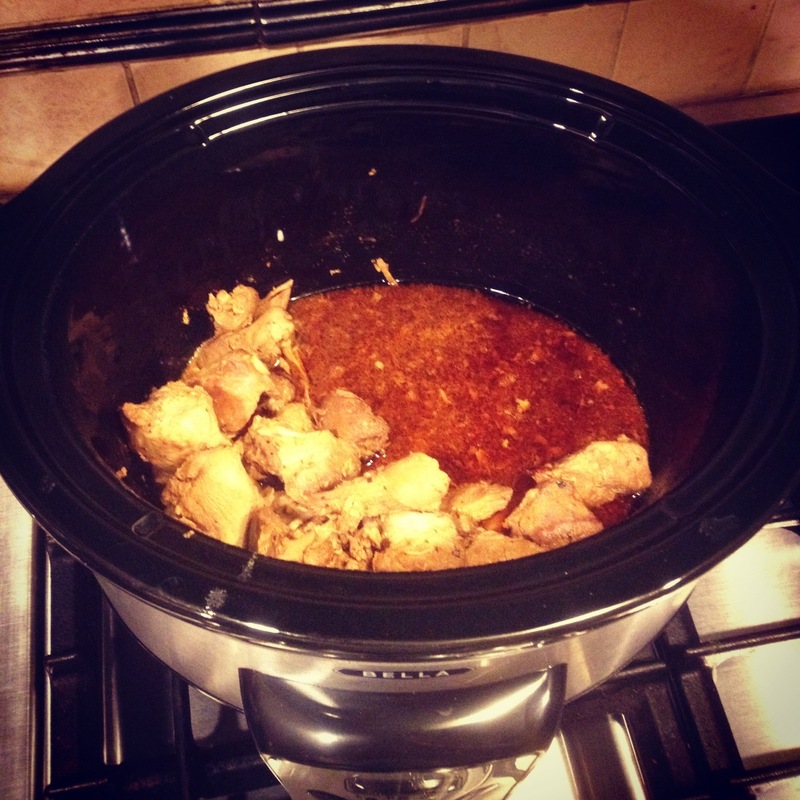 I made my first crock-pot dish…and it was awesome! It was great to come home from work, go to the gym, and know dinner would be ready once I got back. Usually my mom and I start cooking after the gym around 7. Serve with basmati rice and steamed or roasted vegetables. I put all ingredients in a bag and let it marinate overnight, then poured it into the pot in the morning. My opinion: it was delicious! I like how the chicken got really soft and shredded. It was perfect over rice because it had a little sauce to it. It would go well with roasted veggies as well. My mom is making a beef & vegetable stew in the crock-pot today, so I’ll keep you posted on that. Let me know if you decide to try this! 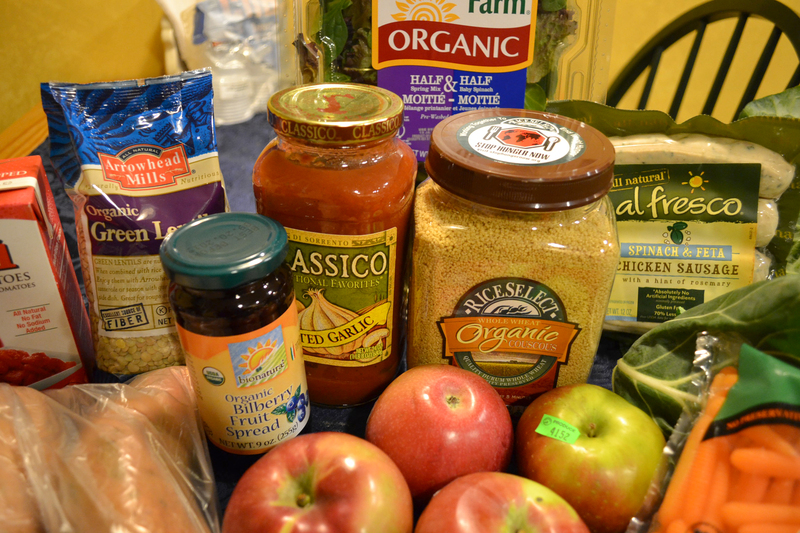 This week’s grocery list + salad in a jar! 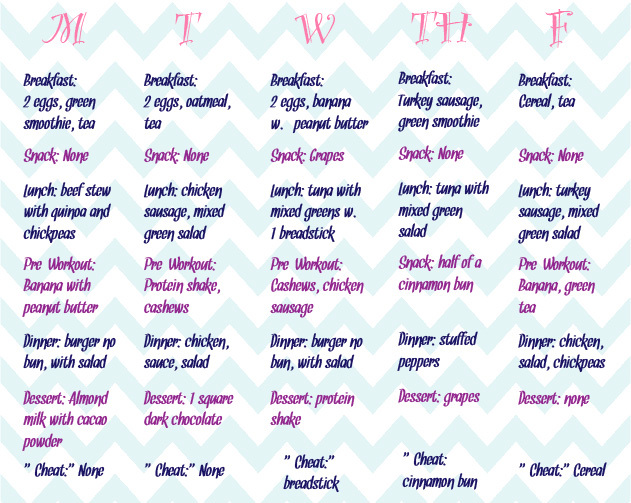 Food-wise, I am really excited for this upcoming week. I got a crock pot, which I have wanted for a while. My mom and I found a few recipes and went grocery shopping Sunday to pick up a bunch of veggies and ingredients. Currently, we have “honey-garlic chicken” cooking in the pot. Can’t wait to get home later and see how it tastes! I can’t wait to try out the recipes I found, and I will definitely share them once I do! My mom and I also decided to cut up everything we could in advance, so prep time for cooking is much less. I also decided to try to prepare my lunch salads in advance as well. I saw the idea for jarred salads on Pinterest, and I finally got around to trying it! Top photo is my cut up fruits and veggies in the fridge, bottom is my salads! You would think your salads would get soggy, but I had one today and it was perfect. You put the “wet” ingredients on the bottom, such as dressings (I use olive oil and balsamic), cucumbers, tomatoes, celery, etc. The middle layer is other ingredients, such as chickpeas, any fruits, etc. The top layer is the lettuce, which won’t get soggy since it’s not touching the dressing. I also put my almonds and cheese at the top. 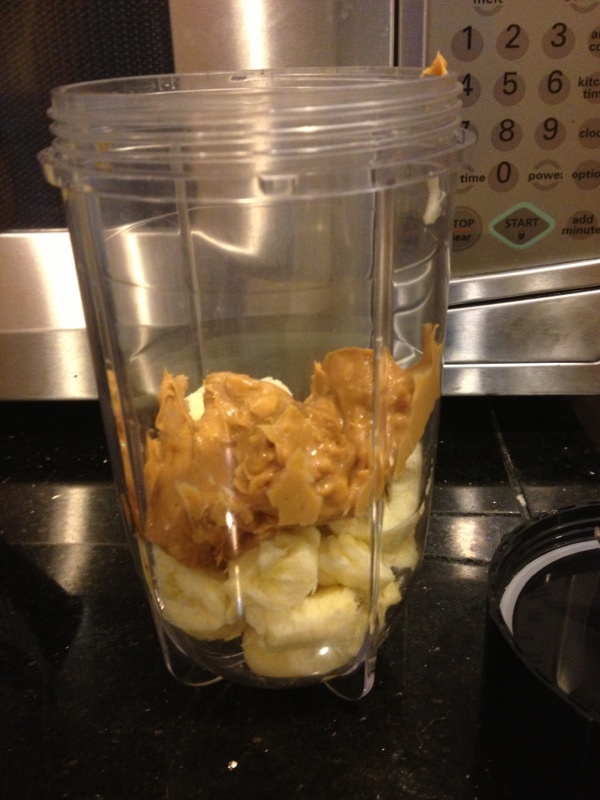 Today, I mixed it all up in the jar, poured it in my lunch container and was ready to go! I’ll keep you posted on how the other salads end up…supposedly they can last a week. Do you prepare your foods for the week in advance?